Engadget - Amazon Kindle slimming down in August? Color might still be out of the question -- both now and far into the future -- but Amazon seems fit to take out some of the Kindle's fat. 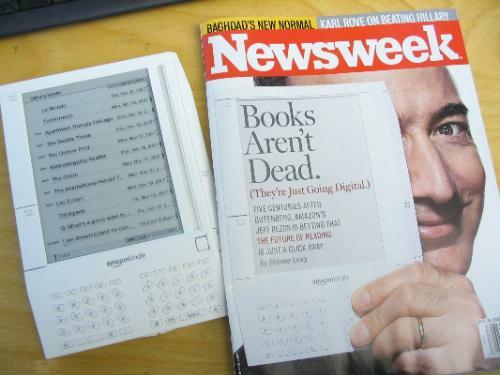 Bloomberg has it on word that the company will debut a thinner version of its e-book reader in August, and the new workout regiment will also enhance its screen sharpness and responsiveness. No word on if this'll apply to current models or be an entirely different variant, but in addition to no color, we do hear it lacks a touch screen. Bummer, but if the price is right, we'll bite.